but even plastic snaps work with light weight leather. I used a metal ruler, cutting mat and rotary cutter to cut my leather to size. It's 1.25 inches wide and 9 inches long. Measure your wrist though...that's the best way to make something that fits! Once the cuff is made and set with snaps...you can decorate! I had these ribbon sliders of letters in my craft supplies for years. My daughter found them and wondered how to use them. We took a thin strip of pig skin leather, but a ribbon works too! Then we measured and riveted them onto the leather cuff. Set one side, then put it on your wrist and mark where the other side needs to go. Because when they lay flat, they will raise up...this compensates for the curve of your wrist. So you have to do it this way or it will be an utter fail. 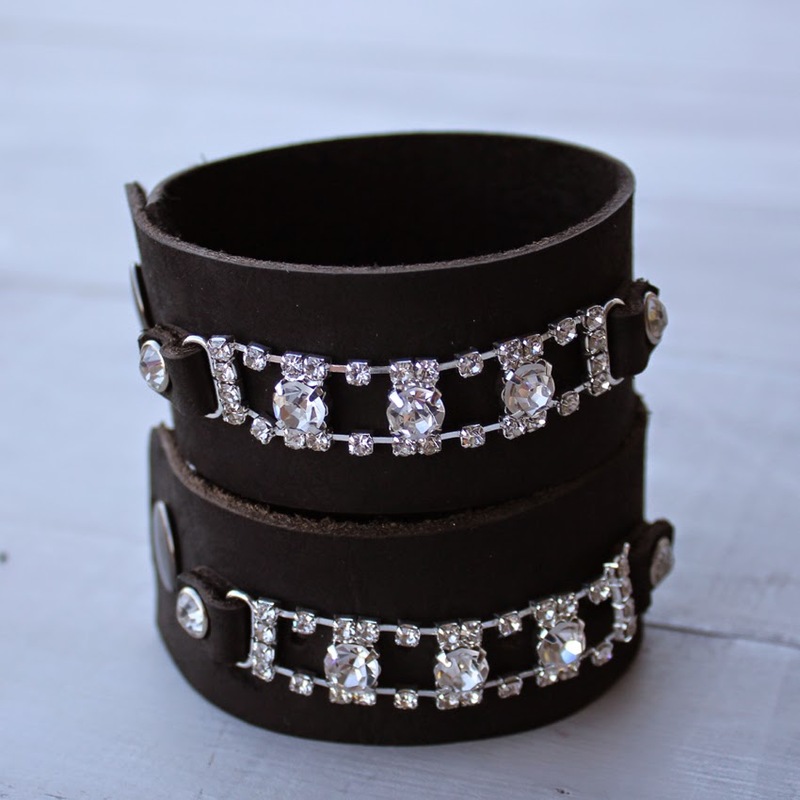 Check out this Rhinestone leather bracelet cuff too!